Kingthings Christmas - Based on Kingthings Petrock - this is a display font and needs to be used at least an inch high to see any detail. Happy Christmas! Kingthings Christmas font contains 116 defined characters and 114 unique glyphs. 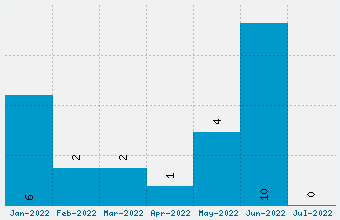 The font contains characters from the following unicode character ranges: Basic Latin (91), Latin-1 Supplement (14), Spacing Modifier Letters (2), General Punctuation (6), Currency Symbols (1), Mathematical Operators (1). 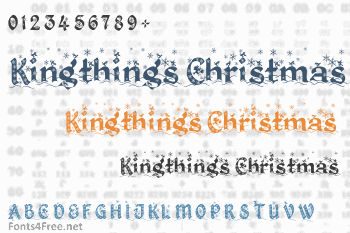 Kingthings Christmas is a holiday, christmas font designed by Kingthings. The font is licensed as Free. 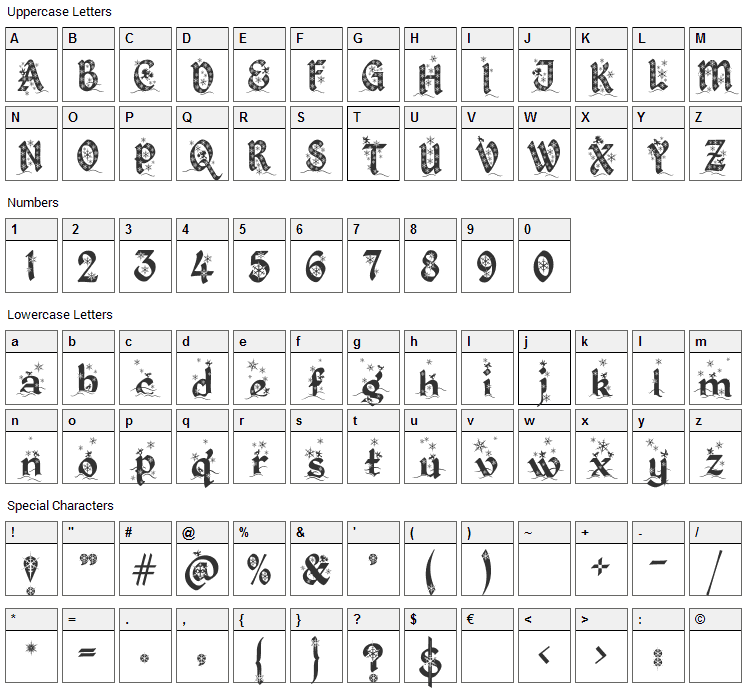 The font is free for both personel and commercial usages. In doubt please refer to the readme file in the font package or contact the designer directly from kingthingsfonts.co.uk. Kingthings Christmas font has been rated 5.0 out of 5 points. A total of 2 votes cast and 0 users reviewed the font.